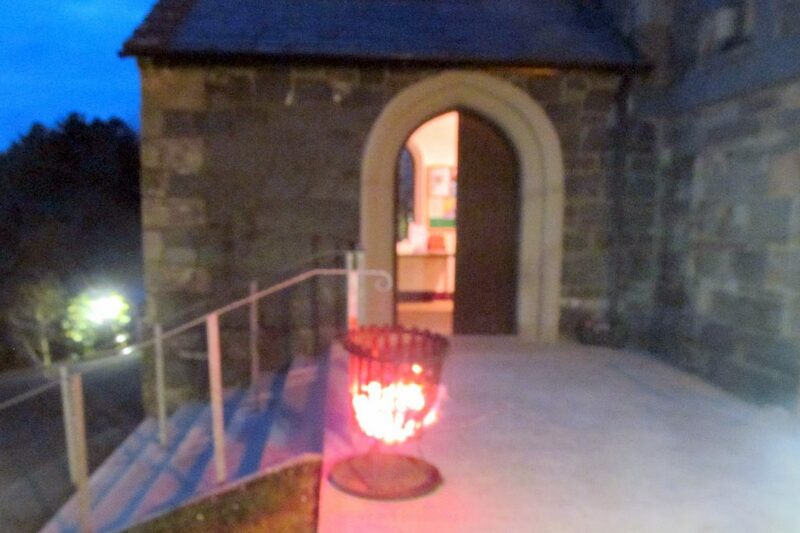 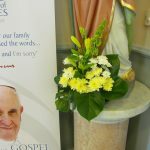 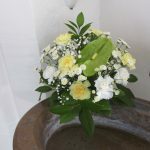 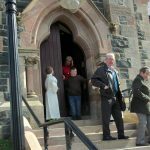 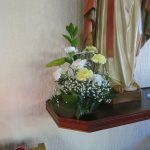 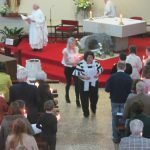 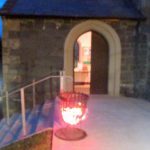 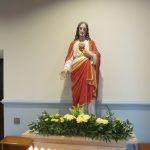 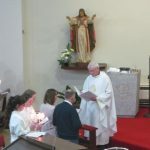 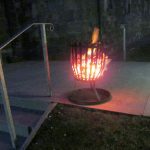 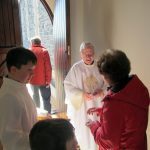 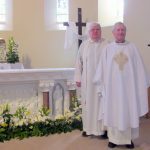 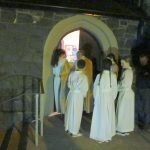 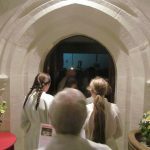 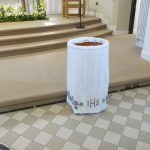 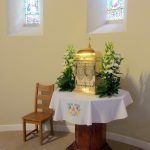 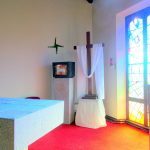 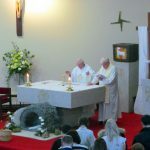 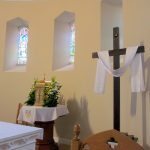 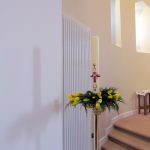 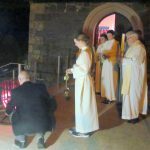 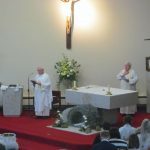 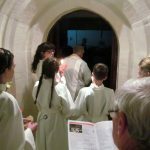 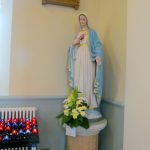 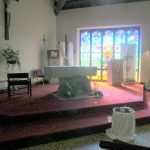 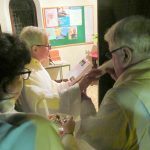 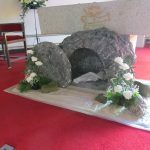 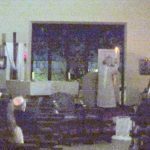 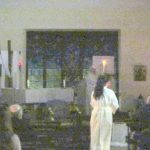 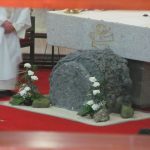 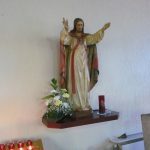 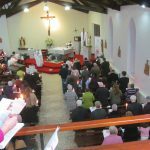 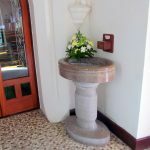 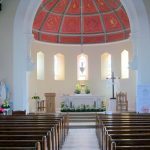 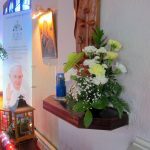 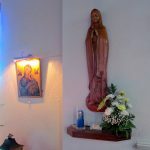 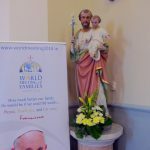 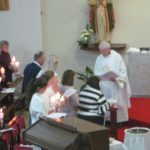 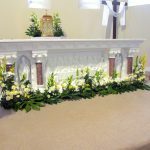 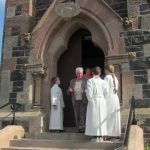 The Easter Vigil was celebrated this year in St Mary Star of the Sea, Nunsquarter on the evening of 31st March. 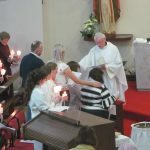 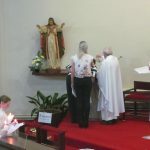 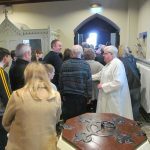 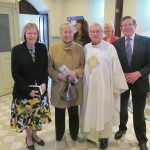 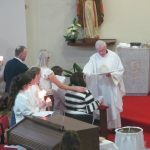 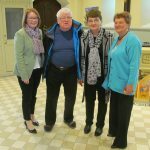 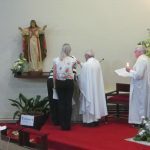 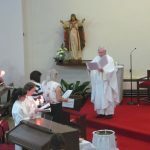 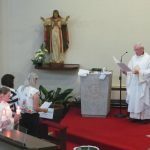 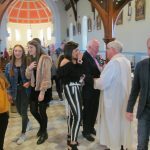 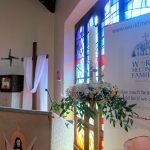 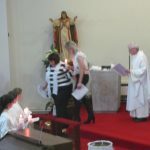 It was an extra special celebration this year as during the ceremonies two new parishioners, Melanie and Louise, were welcomed into the family of the Parish when Fr Neeson conferred the Sacrament of Baptism on Melanie and then conferred the Sacrament of Confirmation on both Melanie and Louise. 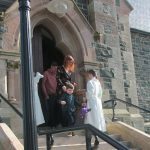 They both received their First Communion as well. 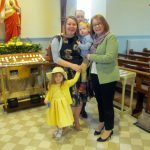 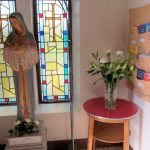 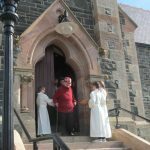 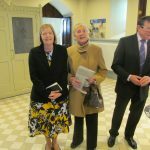 We wish Melanie and Louise many blessings as they continue their Faith Journey and may God’s Spirit be always with them. 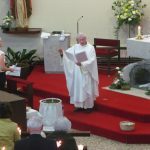 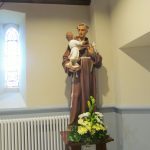 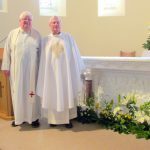 Fr Neeson was once again assisted by Fr John Clark who is based in the Comboni Missionaries in Glasgow. 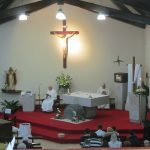 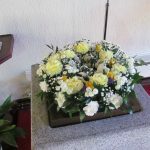 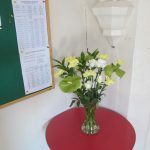 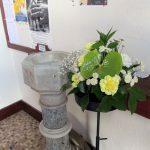 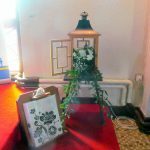 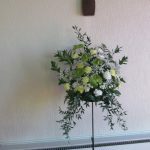 Both Churches were very tastefully decorated for the Easter Ceremonies.